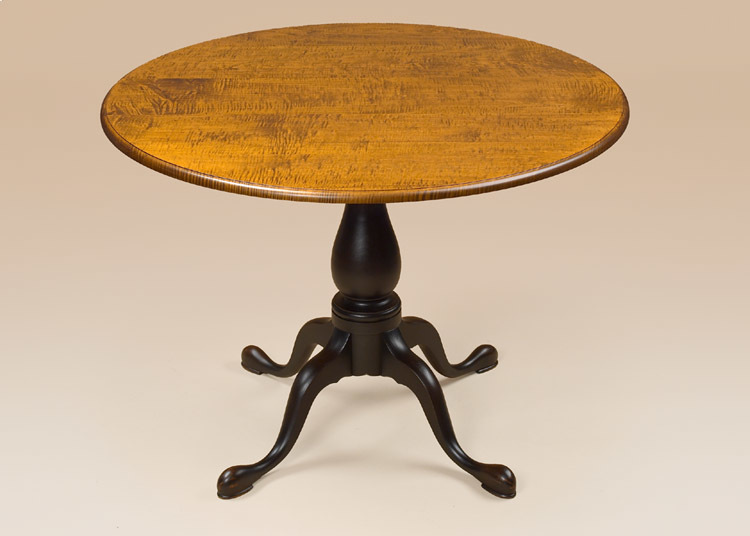 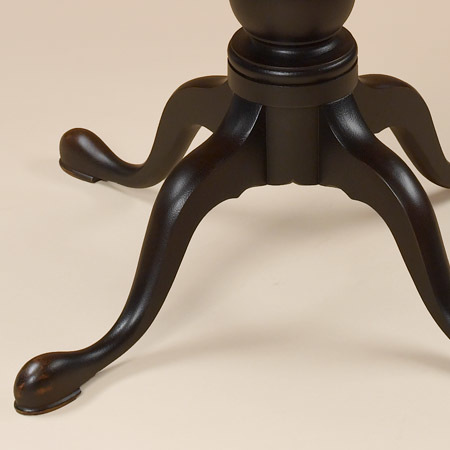 The Historical Holden Pedestal Table is really set off by the beautiful wood grain top and gorgeous pedestal base.. Its painted base compliments the unique styling beatifully. 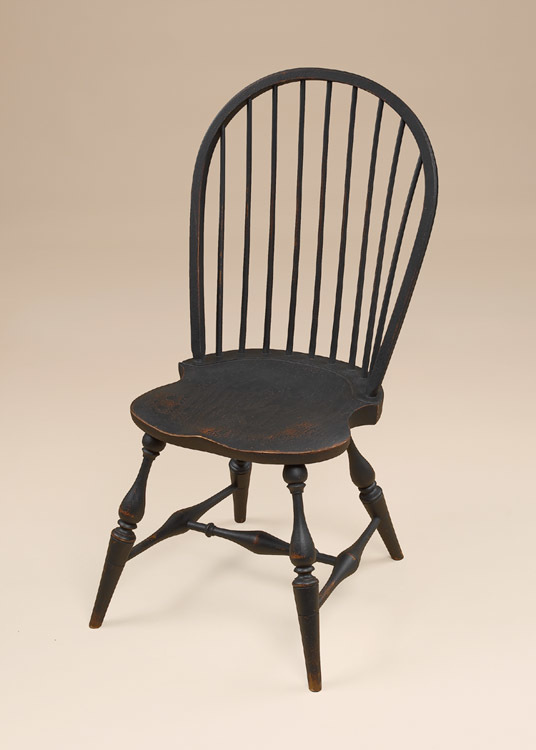 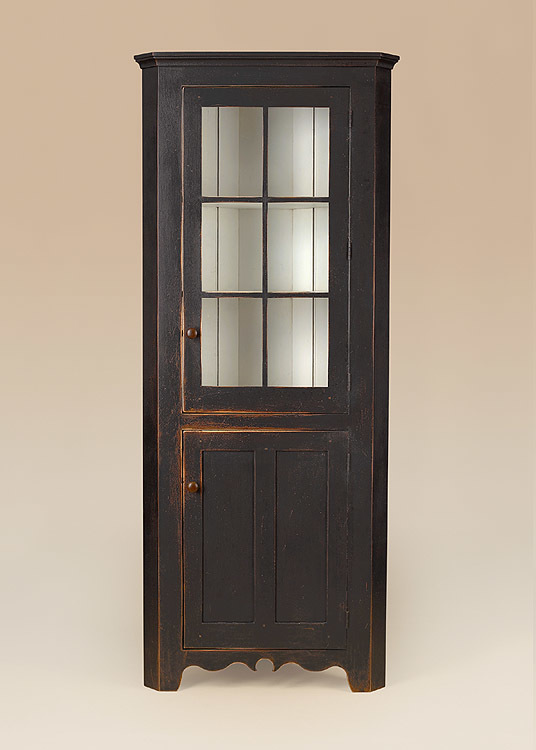 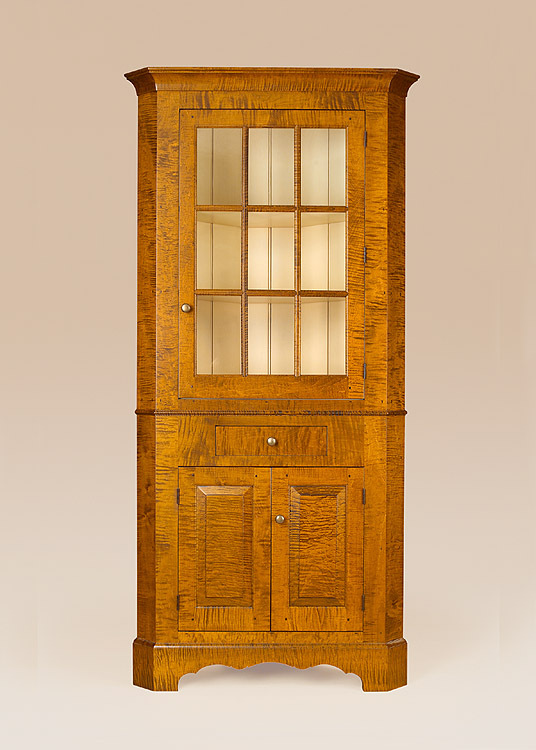 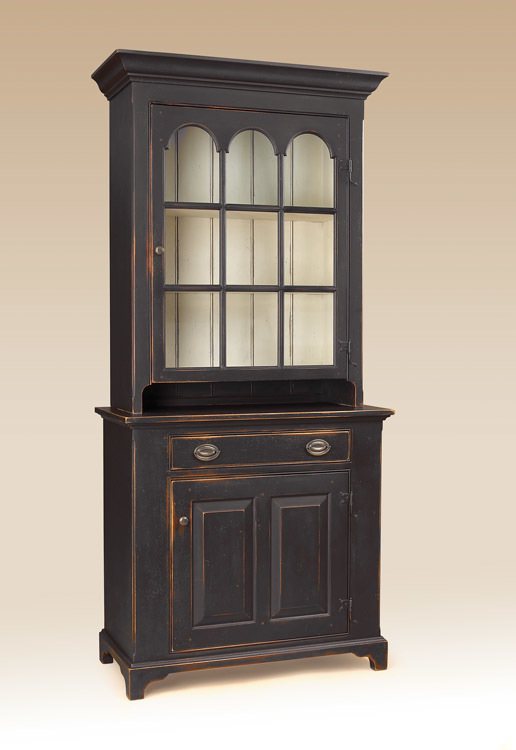 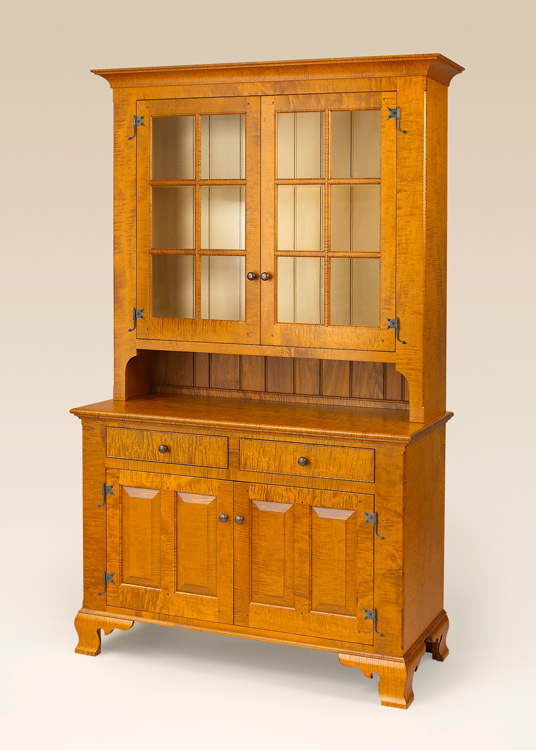 Strong New England styling is but one of the features this piece brings to your home and decor. 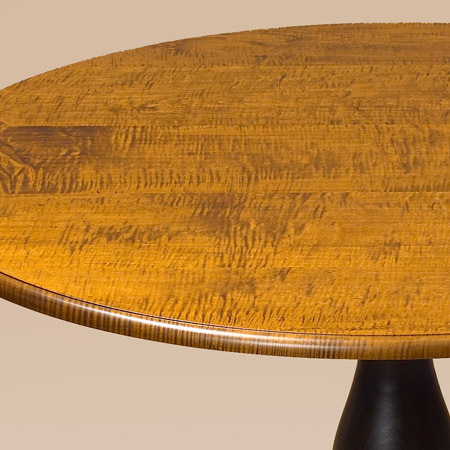 This table would work well as a breakfast, kitchen or game table. 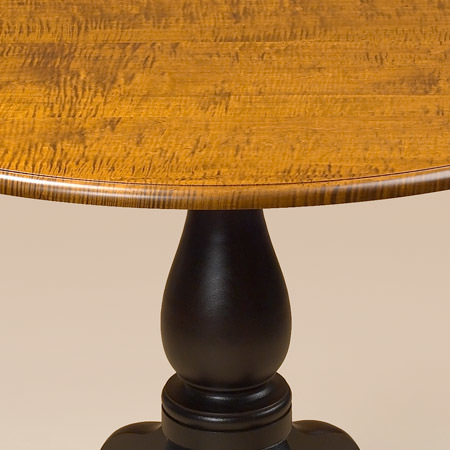 *Pictured with a tiger maple wood top and a antique black over red crackle base.